What do some of the best weighted blankets have in common? Is getting the cheapest ones a good choice? Find out on this detailed buyers guide for weighted blankets. A weighted blanket or gravity blanket is your best companion when you’re longing to calm your anxious mind down. Besides that, it naturally induces calmer periods of sleep. While it has recently become popular, weighted blankets have been around in therapy practices for decades. Weighted blanket generates public interest when a Kickstarter campaign raised more than $4 million for Gravity, a health company focused on improving mental well-being through proven science. Prior to that, it has been widely recommended by healthcare professionals for decades. Recent years has since the commercialization of weighted blankets and its soaring popularity as an aid for anxiety. Unlike other anxiety aids that may need further studies to conclusively the effectiveness from the scientific point of view, the use of weighted blankets originates from medical practitioners itself. Gradually, the effectiveness of weighted blankets captured the attention of other mental care professionals. It provides an alternative to the typical practice of seclusion and restraint. In recent years, manufacturers have started to develop commercial versions of the weighted blankets with added visual elements to appeal to public consumers. Check out this video from Gravity. When DPT is applied, serotonin, a mood-boosting hormone in your body is increased while cortisol, a hormone associated with stress is reduced. Having a weighted blanket wrapped over you creates the safe, soothing feeling of an actual hug. The effect of DPT is what is being demonstrated when a weighted blanket is wrapped over a person who is suffering from stress and anxiety. It satisfies the sensory input that the body craves and increase the production of neurotransmitters that improves the mood of the individual. When you’re anxious, there’s nothing better than a good warm hug to calm you down. The weighted blanket does exactly that. Weighted blankets are usually filled with polypropylene beads, which creates soothing sensations when you’re wrapped with it. The weight and material of the blanket create deep pressure touch (DPT), that simulates the release of serotonin and melatonin that makes you feel relaxed. It also reduced cortisol in your body, a hormone associated with stress. Both adults and children may find comfort with weighted blankets when they are restless. In fact, with recent innovations of the weighted blankets, you can use it while you’re reading or watching your favorite TV program on the couch. While weighted blankets are proven to benefit individuals suffering from stress, the deep pressure stimulation of the blanket also offers reliefs in other groups of individuals. Numerous studies have pointed to the calming effect of the weighted blanket. A study published in the American Journal of Occupational Therapy shows the DPT effect of the weighted blanket causes a reduction in sympathetic arousal, which leads to a calming effect on anxiety. The therapeutic effect of weighted blankets that helps increase the serotonin in individuals with ADHD produce the inhibitory effect that suppresses overactivity in their brain. 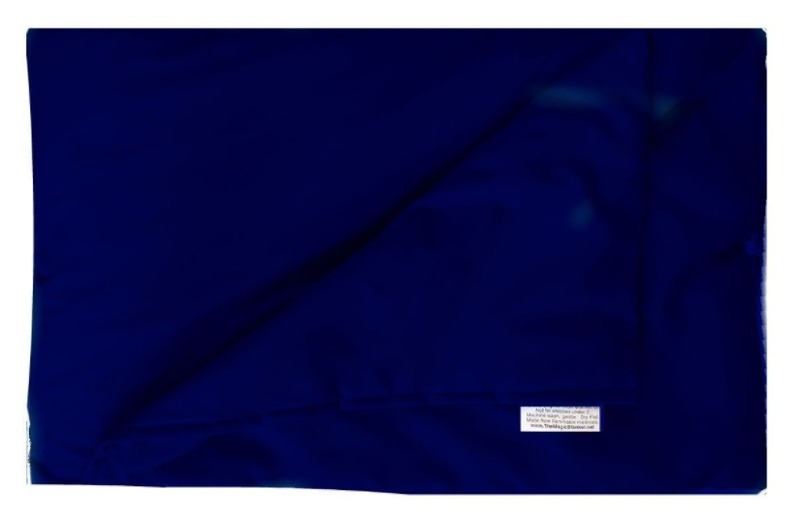 A study performed in 2011 that involves the use of ‘Ball Blanket’, a type of weighted blanket, resulted in 10% of increased attention to detail in 21 students. Individuals with autism spectrum disorder often struggle to sleep. There are claims that weighted blankets help create the calming sensation that improves the quality of sleep for those who are autistic. However, a study conducted by the St. Thomas’ Hospital, London may suggest otherwise as none of the 67 autistic children in the study demonstrated improved sleep quality. For a weighted blanket to have positive effects, it needs to be heavier than your regular blanket. The question is, how heavy should it be. While manufacturers offer slightly different weight recommendations, they agree that it should be at least 10% of your body weight for adults. Some would suggest that you add 1-2 pounds to that but it really doesn’t make much difference for adults. Here’s a table to guide you along. It is important that the blanket should not feel suffocating or restraining your movement. That is not the purpose of a weighted blanket. With the right weight ( and size), you should feel the relaxing comfort as if being hugged. As they became increasingly popular, various brands of the best weighted blankets are hitting the market. If you’ve never used one before, here’s what you must consider before you buy a weighted blanket. The ideal weight of a weighted blanket should be 10% of your body weight. If you’re weighing 200 lbs, you should get a weighted blanket that weighs around 20 lbs. But what’s more important is for you to feel the relaxing sensation from the blanket. It is ok to add some weight if it’s necessary. You’ll want the material of both the fabric and fillings to be non-toxic and odorless. High quality weighted blankets are normally made from cotton or polyester and have the fillings made from poly-pellets, glass or sand pellets. You’ll get the maximum comfort from a weighted blanket when it applies even pressure on your entire body. For cleaning purposes, you may want to get a weighted blanket where it is easy to remove the cover from the inner layers to wash.
Do not get a weighted blanket that’s larger than your bed. The weighted blanket should fit well without sliding off the bed. This is because when it falls over the edge of the bed, the blanket can feel heavier than intended. Besides that, you’ll have the best comfort when most of the weight is applied to you instead of the bed. Adult weighted blankets should measures approximately 38″ x 72″. The most common way to use a weighted blanket is to cover them on your body when lying down just like a regular blanket. It is important to note that it should not cover your face and hamper your breathing at all time. It is better not to wrap it around as it may restrain your movements. You can also use weighted blankets even when you’re not sleeping. Simply draping a weighted blanket over your body can help you to relax especially when you’re having a tough day. It can help to calm your mind down by stimulating the pressure points on your body. A weighted blanket may be a great comfort for anxiety but there are certain circumstances where you shouldn’t use it. Do not use a weighted blanket for toddlers less than 2 years old. If you’re in doubt, always consult your doctor before using a weighted blanket. Weighted blankets are not exactly the cheapest items around. You’ll want to take great care to ensure the blanket has a long lifespan. 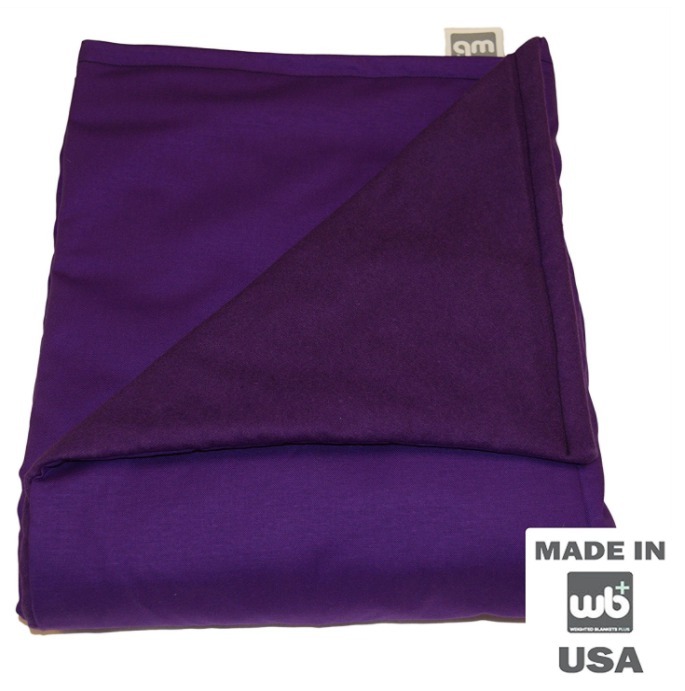 Most manufacturers produce weighted blankets that are machine washable. While most blankets have no problems being dry-washed, it is best that you purchase a duvet cover or buy weighted blankets that come with one to prolong the lifespan of the blanket. Weighted blankets are not exactly cheap. A high quality weighted blanket may cost around $200. Sometimes, you may find that a particular brand or size does not suit you and you’ll want to get a hassle free return or replacement. I’ll suggest buying weighted blankets from Amazon, where you have access to some of the best brands to choose from. You’ll have the peace of mind that you’re either getting the right weighted blanket or your money back. Important: If you’re suffering from any medical conditions, you’re advised to consult your doctor before using a weighted blanket. This article is not written by a medical professional, health expert or a doctor. Thus, it is not a substitute for medical diagnosis or treatment. I’ve personally handpicked a list of high quality weighted blankets that receive encouraging feedback from customers to help you in getting premium weighted blankets to soothe your stress. Available in multiple sizes and color, this weighted blanket from YnM is made from 100% cotton and filled with sand pallets that are non-toxic and odorless. Compared to typical plastic pellets fillings, sand pellets will make you feel more comfortable. The covers and inner layers are sold separately. You’re able to choose the best combinations that fit your taste and comfort. Although the inner weighted layer is machine-washable, you’re recommended to dry wash to prolong its lifespan. Having a duvet cover prevents the inner layer from getting dirty easily. This also allows you to use only the inner layer during warmer days to prevent excessive heat trapped in the blanket. On cooler days, just add the cover and you’ll be equally comfortable. YnM made the blanket to evenly apply pressure on your body to induce deep REM sleep. It’s perfect for calming down stress as you’ll feel like you’re being hugged comfortably by the blanket. It’ll be perfect if you or your spouse are struggling to get a good night of sleep. A wide range of weight option is available as YnM made the weighted blanket for people of different weights. When you choose a weighted blanket, follow the rule of thumb by getting a blanket that’s 10% of your body weight. Fillings are Non-toxic, hypoallergenic sand pellets. A wide range of size and colors. Beads slipped out in some blankets. Made from 100% cotton, this weighted blanket by Zonli offers a soft and comfortable sensation when you use it to help calm your mind. It’s great if you’ve been struggling with stress that leads to sleep disorders. Its fillings are made from non-toxic poly-pellets. They are evenly distributed to provide you deep soothing pressure across your body. You’ll feel like you’re being hugged and that causes your brain to release serotonin, a feel-good hormone. Do note that this weighted blanket does not come with a removable cover. You’ll have to purchase a cover separately if you do not want to wash the weighted layer frequently. Hand wash or delicate cycle is the best way to keep the weighted blanket clean. There are a few sizes available and you should choose one that best suit your body weight and not too large. You wouldn’t feel too warm with this weighted blanket. Despite it being filled with plastic pellets, you can fold it up neatly when you’re not using it. Non-toxic plastic pellet distributed evenly. Decent range of colors and size. Pellets may spill out in some weighted blankets. You’ll need to order the duvet cover separately. Made from its own factory to ensure the highest quality, the weighted blankety by Weighted Idea consists of both the duvet cover and the inner weighted layer at an affordable price. The duvet cover spots a stylish design and is made from 100% cotton. Non-toxic, hypo-allergenic poly-pellets are used for the inner fillings. They are sewn in smaller parts to ensure the weight will be distributed evenly on your body. This helps to provide the best hug-like comfort when you cover up with the weighted blanket. The weighted blankets are carefully engineered to weigh 10% of your body weight. This provides the right pressure for alleviating stress and induce deep relaxation. You’ll find your weighted blanket comforting after a long day at work. Both the inner layer and duvet cover are machine washable although hand-washing is recommended for the inner layer to prolong its lifespan. As the inner layer is made from organic cotton, you wouldn’t feel too hot as it’s pretty breathable. The comfort offered by this high quality weighted blanket and the feeling of being hug will be the relief you need from stress. It’ll help you to sleep through the storm literally. Inner layer made of cotton so you don’t feel hot. Effective in a better and deeper sleep. Stitches of the inner layer may come off in certain cases. 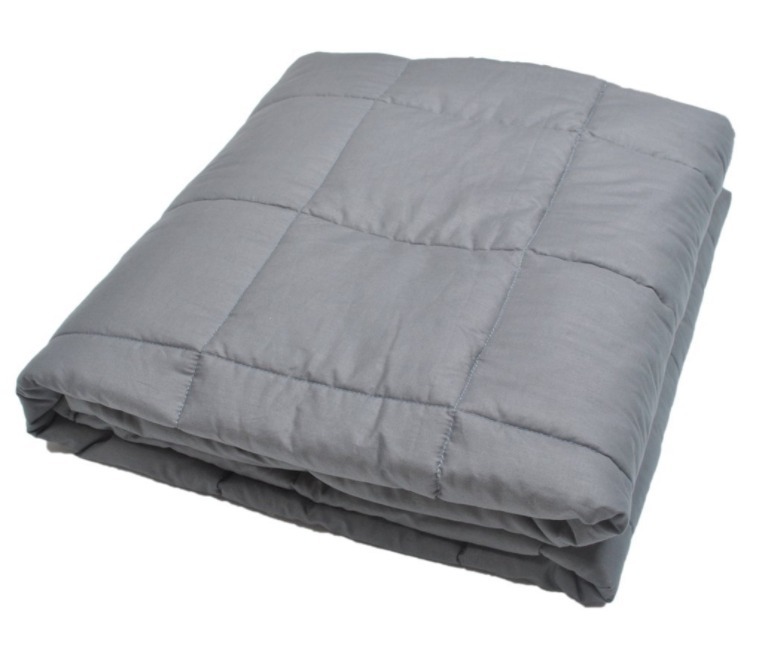 This weighted blanket by Platinum Health is designed to for comfort without carrying the therapeutic impression. It uses a special combination of CloudSoft Polyfill and Stardust Microbead to provide distributed pressure that mimics a hug. At a large size of 60″ x 80″, it allows users to adjust the desired weight by folding the blanket or using only a portion of it. If you’ll want to avoid buying various sizes of weighted blanket for your fast-growing children, this is your solution. The fabric cover looks luxurious and has a smooth silky surface on one side while the other side has a unique dotted texture. Besides calming your stress with the weighted blanket, you could fidget your anxious thoughts away with the dotted textured cover. Both the fabric cover and the weighted layer can easily be separated apart for cleaning purposes. You’ll find that washing the cover is so convenient and prevent the weighted layer from getting worn out. With more than 2 years of intensive research, this weighted blanket helps you to keep stress at bay as you’re trying to fall asleep. You’ll have five color choices of weighted blankets to choose from for you or your child. Harkla not only produces some of the finest weighted blankets but also does its part towards mental wellness causes by donating 1% of its sales to the University of Washington Autism Clinic. Featuring innovative design, this weighted blanket helps you to reduce stress by naturally releasing serotonin in your brain. Unlike its competitors, the weighted blanket is filled with tiny glass beads and fluffy cotton to provide both distributed pressure and the feeling of a real blanket. Besides the glass beads, it has a Minky dots texture that provides great sensory input to calm your nerves. Its therapeutic effect will help you to get to sleep quickly. This is a nice weighted blanket to have if you’ve been struggling to sleep as stress overwhelmed your mind. You just need to lay down with your weighted blanket. There are a few options available to suit your body weight. You’ll find washing the blanket is not an issue as it is easy to remove the cover from the weighted layer. The great thing is, the soft minky fabric does not get harden after washing. Putting back the cover and the weighted layer is equally easy. The blanket may smell unpleasant to some people. Before making weighted blankets for adults, InYard has been providing special needs children with weighted blankets for years. Realizing that adults can also benefit from the therapeutic effects of the weighted blanket, InYard started producing adults weighted blankets. The weighted blanket is made of 100% flannel on the back and 100% polyester on the front. It is filled with non-toxic plastic pellets that are hypoallergenic. You’ll find the deep pressure of the weighted blanket helps you relieve stress naturally. 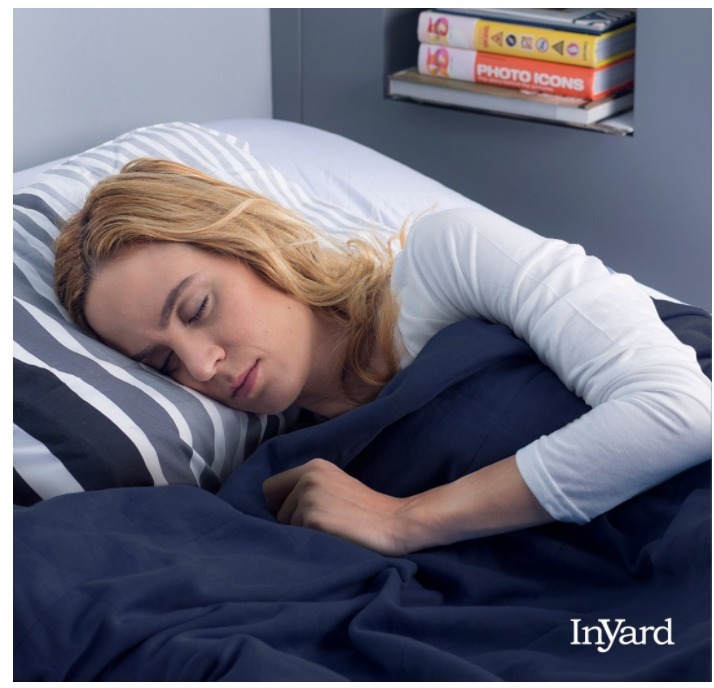 InYard’s weighted blanket is effective in reducing the effect of stress. If you’re struggling with these disorders, you can use the blanket as an alternative treatment. You’ll find yourself getting to sleep faster and deeper. The blanket does not come with a cover. You can dry clean it or get a separate duvet cover for the blanket. While it’s sizes are more towards smaller built adults and teenagers, you’ll still find it cozy on nights when sleep is elusive. Effective for special needs teenagers. The right weighted blanket should never exceed 15% of your weight. 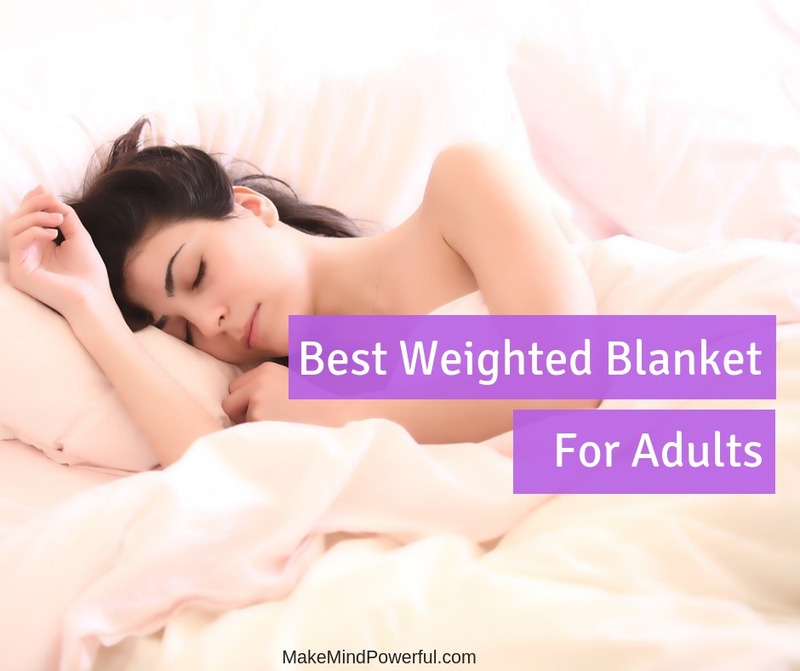 Weighted Blankets Plus suggested that you should choose a lighter option if you’re feeling doubtful of the best weight from its 5 weight options of weighted blankets. You’ll feel the comforted by the evenly distributed of this weighted blanket. It’s made of high-quality cotton and flannel that’s durable for heavy usage. The inner fillings are made from tiny glass beads. that are sewn properly to provide the best therapeutic effect. If you’re struggling with stress, this weighted blanket will help you to relax. It’s proven to produce positive results for individuals who are struggling with disorders like Autism, PTSD and sleep apnea. 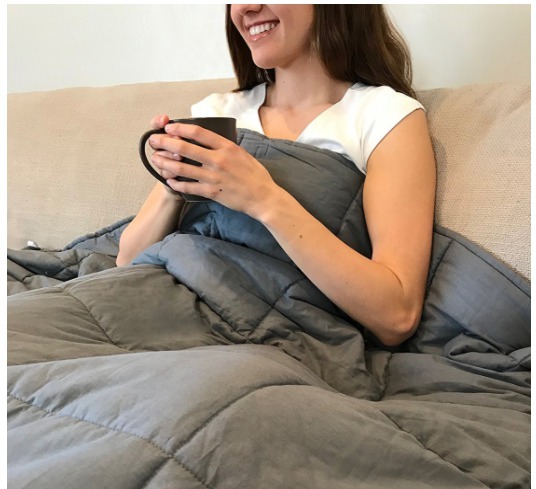 A happy buyer actually uses this weighted blanket to calm her panic attack. This blanket is not sold with a cover but is machine washable. You can get a separate duvet cover to protect the blanket from wearing out quickly. Either way, you can expect a soft and comfortable with this blanket from WB+. Uses natural tiny glass beads. High-quality cotton and flannel fabric. May feel hot in the summer. The Magic Blanket is one of the pioneers in weighted blankets with over 20 years of experience providing a better sleeping experience. You wouldn’t see any visible stitches on their weighted blankets. This gives the blankets a non-therapeutic impression. This is a blanket that literally hugs you back to remove any anxious feeling during your bedtime. As your body releases melatonin and serotonin, you’ll fall asleep easily. It has garnered wide publicity in mainstream publications like Forbes, Women’s Health and LifeHack. Professional sewing techniques ensure that the poly pellets used as fillings are separated from the cotton layer but maintaining a comfortable texture. There is, however, no separate cover for this weighted blanket. 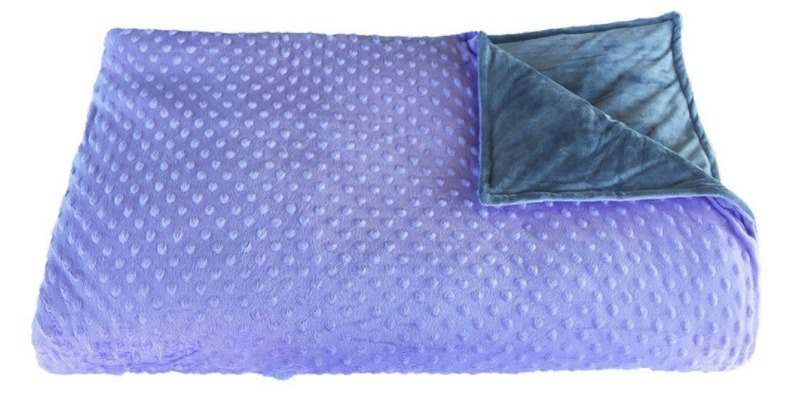 You can safely put this weighted blanket into your washing machine. The Magic Blanket offers 10 sizes of the weighted blanket to fits different body sizes. You’ll also have four colors to choose from. A high quality weighted blanket like this is the key for you to enjoy deeper uninterrupted sleep. 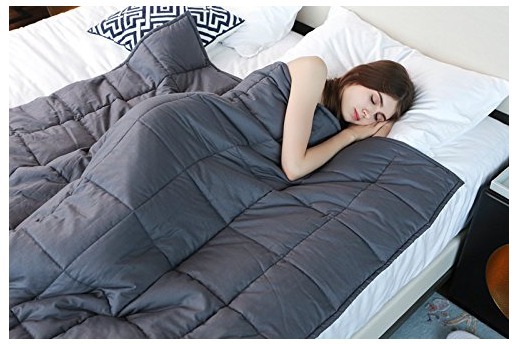 This weighted blanket from Good Knight Blankets will help you improve your sleep. You’ll feel like being hug as the weight of the blanket applies deep pressure on your body. I no time, you’ll find yourself nodding off. The blanket is produced from premium cotton while the inner fillings are made of non-toxic miniature poly pellets. The pellets are sewn evenly on the blanket to provide a distributed weight on an individual. At 60″ x 80″, the blanket would fit both adults and teenagers of 6′ 6″ and below. Besides the size, you’ll need to ensure that the weight of the blanket is at approximately 10% of your body weight. That’s the guideline for the blanket to work in reducing stress. You may have to order a separate duvet cover as the blanket does not ship with one. You can easily clean the blanket with the washing machine though. 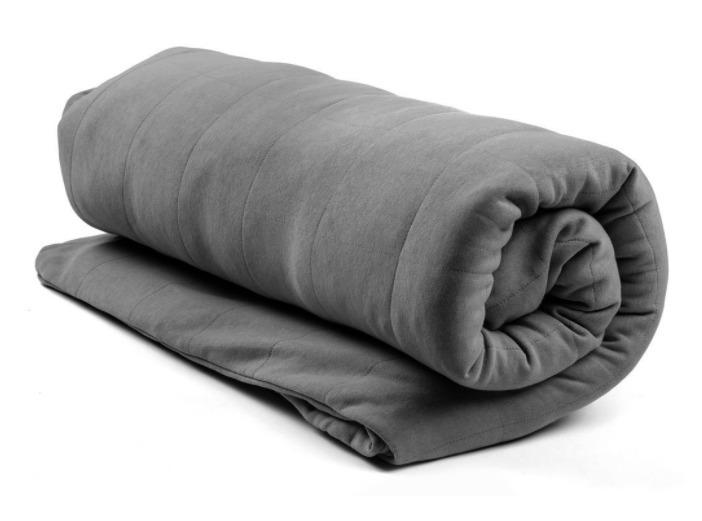 The Quility weighted blanket is made from top quality materials. The fabrics are 100% cotton while the inner fillings are non-toxic, hypo-allergenic pellets. The pellets are stitched in small square patterns to prevent it from moving around in the blanket. The weighted blanket ships with a duvet cover which can be easily removed or secured with sewed on buttons. Instead of washing the entire blanket, you can remove and wash only the duvet cover. Your weighted blanket would last longer. You’ll experience better sleep with this weighted blanket as the deep pressure cause your body to release hormones that makes you feel calmer. It helps to alleviate stress naturally. It will be helpful to wrap yourself with a weighted blanket after a tough day. If you need a mood-lifting hug after a stressful day, this weighted blanket is the best option next to a loved one. Can be quite heavy and hot. It doesn’t take long for you to know if you’ve ordered the right weighted blanket for yourself. The right weighted blanket would feel comfortable despite the extra weight of the fillings. You’ll feel like being hugged comfortably and you wouldn’t be as anxious as before. Your mind would naturally calm down and you’ll fall asleep naturally. The right blanket should feel breathable despite the extra weight. The perfect weighted blanket would be your natural companion as you seek relaxation from stress. 1. How to choose a weighted blanket that doesn’t feel too hot. The outer layer of the weighted blanket is usually made of flannel or quilt fabric. If you’re someone who sweats easily even with normal comforters, you should choose weighted blankets made of quilt fabrics. While they are not as soft and silky as flannel, quilt fabrics are ideal for people who do not tolerate heat. 2. Can my child sleep with me under the same weighted blanket? It is generally not advisable for children to use the same weighted blanket with an adult, whether together or separately. 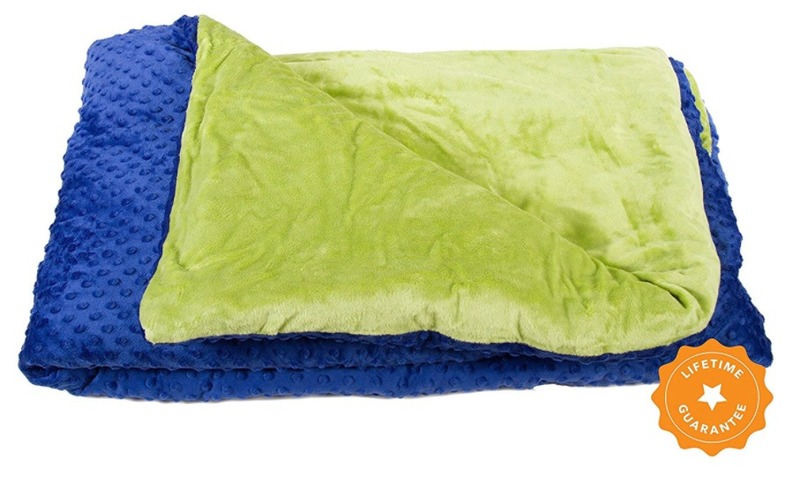 Weighted blankets are designed to a fraction of the size of an individual to be effective. It may be risky for a child to be covered with a blanket that may be too heavy and impede his or her movement. Besides that, the distributed weight will not be effective for therapeutic purpose if it is spread over two individuals. 3. Can I remove the weights of the blanket? Manufacturers usually stuff the weighted blankets with poly pellets or glass beads. These material are usually sewn into pockets in the blanket to provide a uniform weight distribution for individuals. It is generally impossible to remove the weight without damaging the fabric itself. 4. Is it OK to use the weighted blanket during my flight? If you have flight anxiety, or merely wanted to get better sleep on a flight, it’s perfectly fine to use a weighted blanket. There aren’t any particular issues in bringing a weighted blanket through customs, although some officers may poke small holes to ascertain there is no illegal substance in the blanket. Let us know your experience of using weighted blankets to reduce stress. Wow, I’ve never heard of weighted blankets before but this idea is genius! I can’t count how many times I’ve gone to bed, pulled my blanket over me and felt like there was nothing there. The blanket covered me but it was pretty much light as air. I think the weighted blankets would definitely help you sleep better and be more comfortable. My favorite of these was green and blue one by Harkla. The only downside would be using it in the summer like you mentioned. It looks like lots of them are made with little beads or pellets. Do the beads move around as the blanket does? If I stood up and held one side would all the beads fall to the bottom of the blanket leaving the top empty? The beads are normally sewn in small pockets so they won’t all fall to one side of the blanket. It’s designed to distribute the weight evenly on you. I have been looking for something to help me sleep recently because I have been under a lot of stress. I don’t like taking pills and I have tried the warm baths and lavender oils. The warm baths and oil help but once I get in bed and try to relax I can’t. I’ve never heard of the weighted blanket before but willing to give it try. Thanks for the great information. I will let you know how it works for me, once I get one. Thanks for checking out the article. I hope a weighted blanket helps you. This is a great website and I sure do hope this will cure some of my late night anxiety. 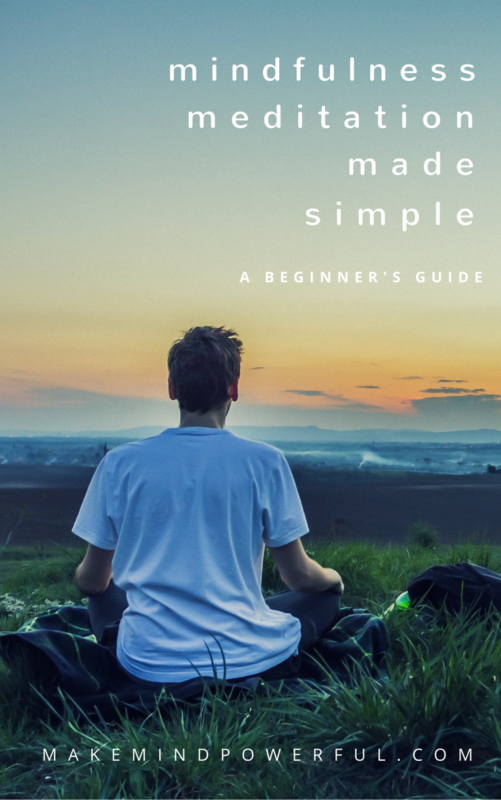 This is an informative guide and has a lot of key things that people should note. I want to get one of these blankets for myself, and I was wondering if I could buy these at my local retail store? Or do you have to find them online? I’m not sure if you could get it locally. I would rather shop online at Amazon and not worry about shipping and returns. I have a weighted blanket and absolutely love it! It helps me to feel cozy and comfortable while sleeping and creates a relaxing environment to sleep in. Are there any weighted blankets out there made for warmer days, or more humid climates? I’d love to have one to offset my winter blanket in the summer time. Some of the blankets listed have covers that can be taken off. They will fee less stuffy during hot days. Amazing information. I was searching for such information about weight blanket from a long time. I think I will buy one for sure. What could be better than a perfect sleep to reduce anxiety. I am glad that you also mentioned when we should not use weighted blanket because I was thinking to gift my parents but now I won’t as they suffer from irregular blood pressure. Thanks for sharing this information. I would just like to ask one question which one would you suggest personally among the 10? Hi. I like the one by Weighted Idea, in terms of style and the fact that it comes with a duvet cover.